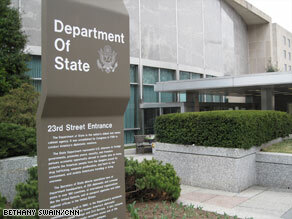 WASHINGTON (CNN) -- The State Department has revised a report that erroneously pegged the salaries of some non-Americans working abroad at U.S. embassies and other places at less than $1 per day. The State Department report looked at how non-American workers are paid in about 170 missions. "We were given that information erroneously," inspector general spokesman Tom Burgess told CNN on Friday, two days after the report was released. "We know it is between $3 and $4 a day." Apparently a currency conversion error was to blame, he said. Other details of the report remain in place, including claims that some lower-grade foreign nationals who work for the State Department earn so little that they must cut back to one meal a day and send their children out to peddle on the streets. "We have no further corrections to make," Burgess said. "We stand behind the report." The inspector general's report looked at how the United States pays more than 51,000 local, non-American employees in about 170 missions. In addition to the hardship caused to the workers because of inadequate pay, the report found that the United States is losing staff to other higher-paying employers, and may not be able to fill vacancies with qualified people.